It’s time to talk about the example that Neymar urgently needs to follow from Ronaldo Nazario if he wants to keep playing football at the highest level. Now that a few days have passed with Neymar’s new right ankle injury, a new pattern has emerged that brings up several similarities with Ronaldo Nazario’s career and the comparisons now have become inevitable. Let us illustrate you in a little bit of football history. When Ronaldo Nazario was starting his career as one of the most impressive strikers anyone had ever seen, he was coming out as the ideal Romario replacement at FC Barcelona and that first season with the Catalan club was one of the most impressive anybody ever witnessed in modern football. 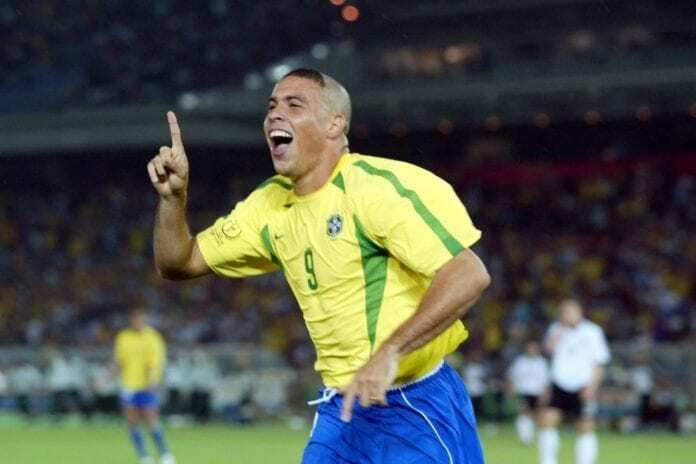 We are obviously talking about the pre-Messi and Cristiano Ronaldo era, the Brazilian Ronaldo was the very first example of what a modern striker could become in today’s football. But not everything was bound to be perfect for the player, he had a curse that eventually caught up to him and even ended his career in the blink of an eye. Just like Neymar did recently, Ronaldo left Barcelona after a strong disagreement with the board of directors and decided to hear the offer from the highest bidder. Internazionale Milano made the transfer of the century back then, they got the best player in the world and everything seemed okay at that moment. But Ronaldo was coming from a large period of playing a style of football that was very risky for his knees, something terrible was bound to happen due to this dribbling style that can only support players who are lightweight and drastic turns are not as bad on the joints. But Ronaldo was gaining more pounds as time went by, he was still the most impressive footballer anyone had ever seen during his first couple of years at Inter and he even delivered unforgettable performance such as the UEFA Cup final against Lazio. The trick for Ronaldo was in the way he changed direction and his pacing, something that eventually brought him a career-ending knee ligament injury that kept him out of the game for a little over two years. The recovery process was incredibly painful for Ronaldo, but he was determined to return to the very top of world football. During this time of gruesome recovery and reflecting, the Brazilian striker realized that in order to keep scoring many goals he needed to change his playing style and become more practical with his finishing skills. We weren’t going to see the same spectacular Ronaldo anymore, but we still got that same natural born predator by the time the 2002 World Cup came. Sigue con tu MAGIA Neymar. No cambies nunca. Te amo. Volverás mas fuerte. Neymar has a very similar decision to make but he still hasn’t realized it, the PSG star needs to understand that he can’t keep playing that dangerous ‘Ginga’ style of football because the rivals will always come to get him. Just as Ronaldo had those dreaded knees, Neymar now has that cursed right ankle which he has already injured three times throughout his career. 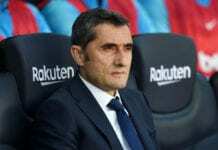 The first time was when he played for Barcelona and he recovered in time for the 2014 Champions League’s Round of 16, the second time was the already familiar injury from last year that almost kept him from playing the FIFA World Cup in Russia. And finally, Neymar suffered a blow in the same area of the previous injury that may keep him from playing against Manchester United in February and it may even keep him from playing the Copa America in Brazil. Neymar needs to stop listening to people like his father and make a mature decision to stop risking himself that much during a game, he is way too talented to throw his career down the drain like that just because of pride or keeping a style. Neymar needs to follow Ronaldo Nazario’s example, but time could run out for him if he doesn’t realize it soon enough. Why do you think Neymar is so determined to keep risking himself by playing like that against rivals? Please share your opinion in the comment section down below.